The Diploma in Business and Information Technology is a broad-based and stimulating programme. The purpose of the course is to provide students with the foundation skills and knowledge necessary for entry to the BTEC HND Courses conducted at Beacon. The course aims to provide students with fundamental knowledge of business and IT and develop basic skills in oral & written communication, business communication, team-working, problem solving and applying technology. The course is mainly conducted in the classroom via face-to-face learning which encourages student-teacher interaction. Students are encouraged to attend field trips organised by the school to encourage experiential learning. In-course assessments only will be conducted. In- course assessments may include quizzes, class tests, class participation in question and answer sessions, oral presentation, subject assignments including assignment reports, projects and demonstrations where relevant, valid and appropriate. 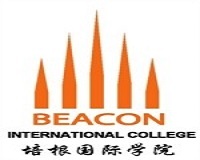 Diploma in Business and Information Technology awarded by Beacon International College awarded by Beacon International College. This certification allows direct entry into the internationally recognized BTEC HND Diploma awarded by Pearson Education (UK).